Can Hair Be Extroverted or Introverted? Advanced training in the art, method, technique & business of wavy/curly hair. When I was building up to that first live training my stomach was in knots, my emotions were all over the place and tears filled my eyes a few times based on the fear and uncertainty of what was being created. I over came my emotions and took action anyway as I knew in my soul that what I was doing was of value in that if something powerful can change my life then I know for a fact that it can help others as well. The rest is history in that when I work with and trust others along with having a passion of a message that is louder than any critic - that in the end this helps others. It is worth every stroke of my writing, every video of teaching and every live training I have done to help another person to achieve their dreams. I am worn out when I do a video - I am charged up after I write a blog. There is a difference in how you put yourself out there as an Introvert as Introverts are boring on camera and you have to learn to amp yourself up to be charismatic to reach people. Its like a button you learn to turn on for being with people. After my live trainings I am exhausted and my Extrovert friends go right back to work the next day....where as I need a of couple days to recover and renew by myself. I eat some sushi, get a message or just journal what I learned from each experience. 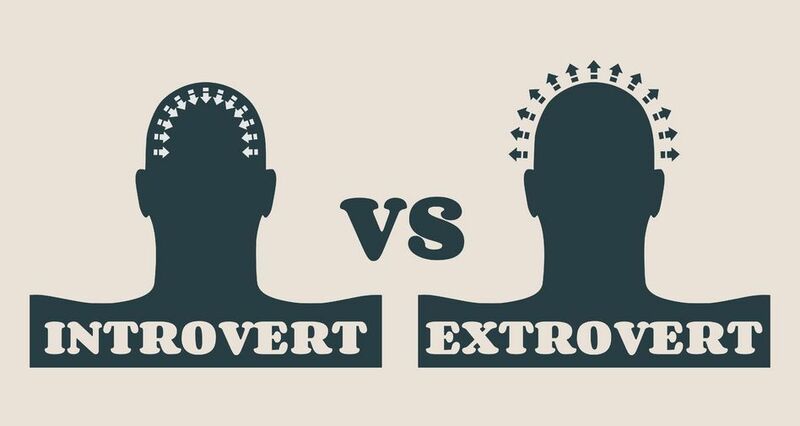 Years ago I took a Myers Briggs test and it was then that I learned about Introverts and that we are out numbered in the world by extroverts. Advertisements and ad's in magazines are all trying to make introverts feel like something is 'wrong' with us and that we need their product to make us 'normal'. Many take drugs or drink alcohol to bring out another 'person' to be the life of the party or to appear as a 'stronger' person. We loose ourselves everyday by numbing out our true identity. I read The Introvert Advantage book years ago and realized that introverts have a strength, inner confidence and introspective vision of what can help others with and in a team environment create something they can not do with a room filled with extroverts. How does this relate to wavy & curly hair? I see people with beautiful wavy/curly and textured hair get attention with their hair and it can be difficult to appreciate a genuine compliment. If someone appreciates what you are born with and they compliment you - look them in the eye and say, "Thank you"! Its almost like introverts with curly hair try NOT to get attention and yet its almost impossible as the only way to really hid is to wear a ball cap, sunglasses and yoga pants....then you will be putting out vibes to be left alone. When you want to be yourself with your hair blooming in all of its glory and not hidden under a ball cap we can share our God-given hair with the world and appreciate - with inner confidence - that we are not really our hair but more of what our confidence is revealing in who we are. Many of us are not shy - we hear this from early on in our youth and realize its not about being shy - its about trusting others and when you call me shy you loose my trust as you have no clue to why I hold back on expressing myself in front of you. It takes time for me to trust you. I do not like small talk either. I love my extrovert friends - they bring out the best in me. My extrovert friends appreciate me for helping them to look inward, appreciate an introspective perspective and see things by stepping back to help them look forward by adjusting what actions you can take in the present. I think sometimes hair is expressed and big as an Extrovert and then at times it is compressed and closer to your head as an Introvert...either way its beautiful. I see marketing trying to get your hair to be Expressed and then you feel like your not fitting in somehow. I see Instagram influencers trying to get your hair to be big with extroverted volume and yet you try their tips and products only to get flat introverted hair after 30 minutes - its introverted in nature and you are trying to express yourself with what others are trying to influence you to be. If you have Introverted hair - that is trying to be extroverted by comparing yourself to others on social media is a set up for disappointment. You can get volume for your hair with hair pins, spray and teasing techniques and have joy for a party or a photo shoot - and when you shower you go back to what you have - and if you do you dont need to compare yourself to others. My business is filled with Introvert clients as we have a connection. My business is filled with Extroverts that balance my day out to create a fun day with excitement. Energy is what is at the heart of Introversion or Extroversion. It's about how you renew yourself. 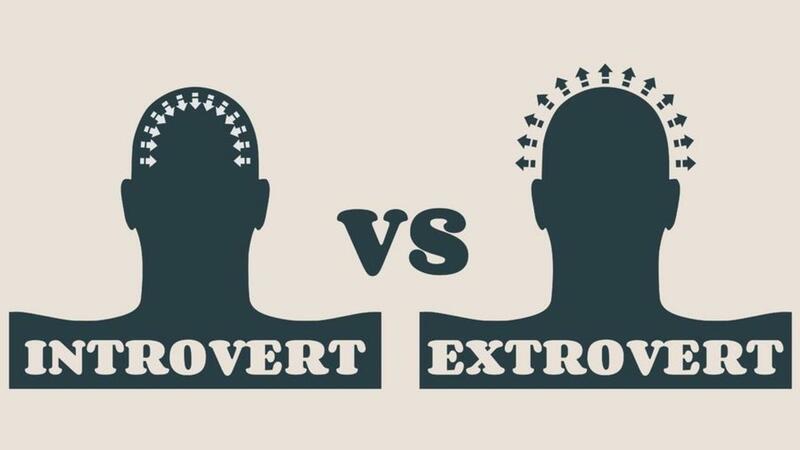 Just because the world is filled with an 'energy of extroversion' doesn't mean you need to be or do the same thing as Introverts - as we need your energy in our world. There is nothing wrong with going to a movie by yourself. This is like getting a massage for your brain with visual stimulation instead of a physical touch of a message. Its interesting working with clients all day and coming home to want to chill and you have a family that needs your energy to speak into them and help out as a spouse and parent. If you are balanced in your energy - you are balanced in your life...as best as you can. So its important to renew yourself in what way you feel is best by marking out TIME for you....just as you do for your work, fitness and spiritual growth. You need time for YOU. We need a balance - and as an Introvert - you are needed to share your perspective in our world to help others get insights into what is needed in this world. You are needed by you stepping up to take a risk (as I mentioned earlier with how I did) and let others into what your world is about to serve them in a way that will expand what is possible. Remember - your message is louder than any critic. Introverted critics can be mean but its a reflection on what their dysfunctional thinking is like in their own head. They are their own worse enemy. Extroverted critics speak about others but never take their own risks - they only criticize what others are doing. Be you and stay with a group of like minded people - with both introverts and extroverts - and take risks to expand our world.